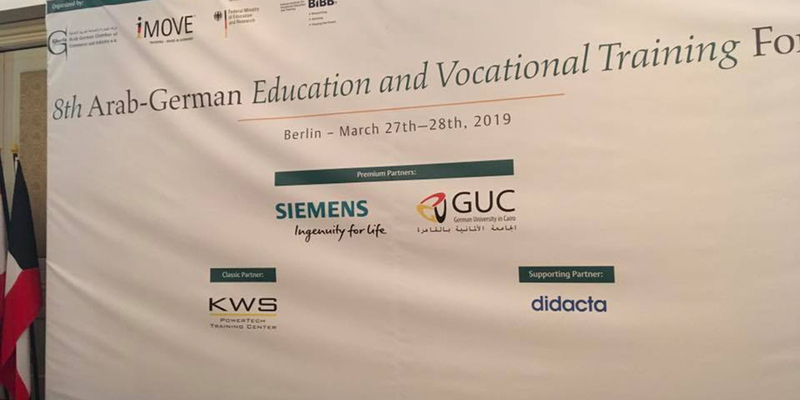 GUC Chairman Prof. Ashraf Mansour headed a VIP Egyptian delegation to attend the 8th Arab - German Education Vocational Framing Forum “iMOVE” held in Berlin, Germany. 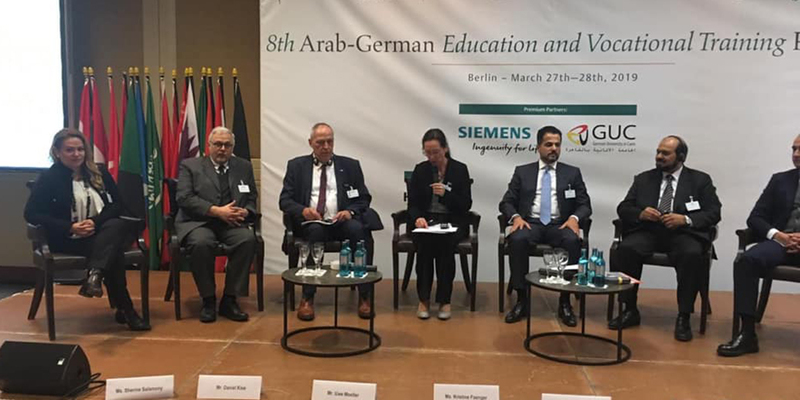 This conference is organized by the Arab German Chamber of Commerce and Industry. 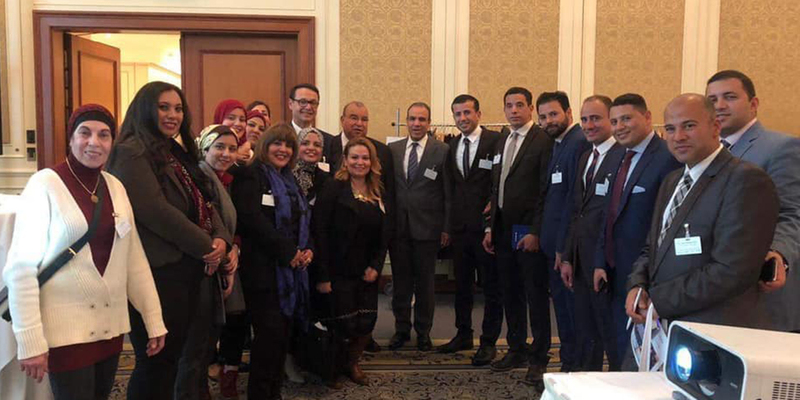 Ashraf Mansour, Chairman of the Board of Trustees, Germany University in Cairo (GUC) stressed that the world knows no borders between neighbors in every sense, it is connected through technology, as well as the most advanced transportation means and above all through human beings. His talk came through a speech he gave before the 8th Conference for education and training, currently taking place at Berlin.he said that all nations’ economies are linked together and thus the fate of all humans is now determined by the acts of each and every individual all around the world- that’s to say the simple principal of “cause and effect. Mansour added that Europe is one region in the world that has fully comprehended this concept and acted upon it in the last decades. Europe has developed a foreign policy based on seeing the other European countries as equal partners of huge capacity and great potential. Now it is extending this view to neighboring countries in the Mediterranean region and Africa. 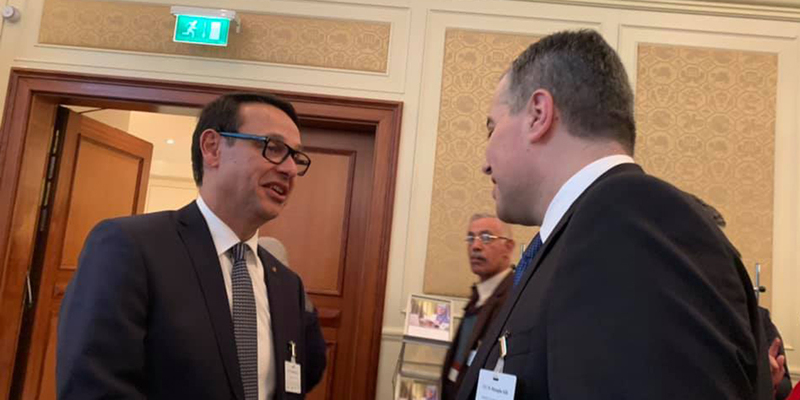 Today the economic and political changes and the deteriorating security condition coupled with lack of stability in the Euro-Mediterranean and the Red Sea regions require a unified vision from both parties- the European and the Arab – African. The Southern Euro-Mediterranean region that is adjacent to Europe has a youth percentage of 45% to 60% in most region states, while the average income does not satisfy the 21st century youth aspirations in this era. 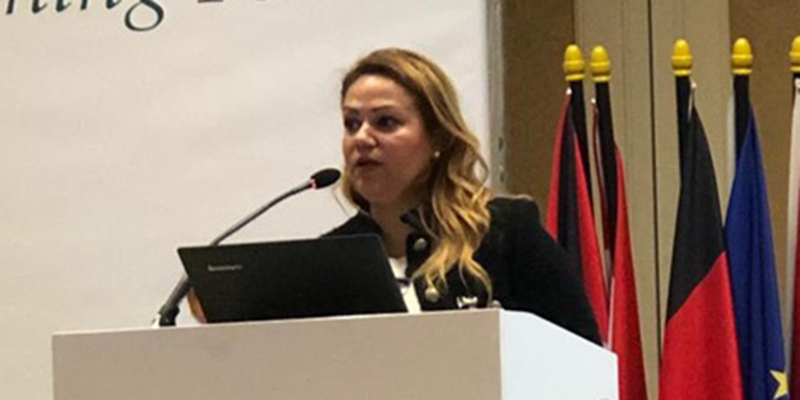 According to Mansour, the lack of political stability in the Arab and the Euro-Mediterranean region will, therefore, negatively affect all neighboring countries. Those youth need jobs, satisfying income, and a decent dignified living. The lack of economic stability in a country even if it has political stability, leads to problems in the supposed to be stable countries. In Europe there are some examples. The main problem that all governments suffer from is the economic challenge especially unemployment. 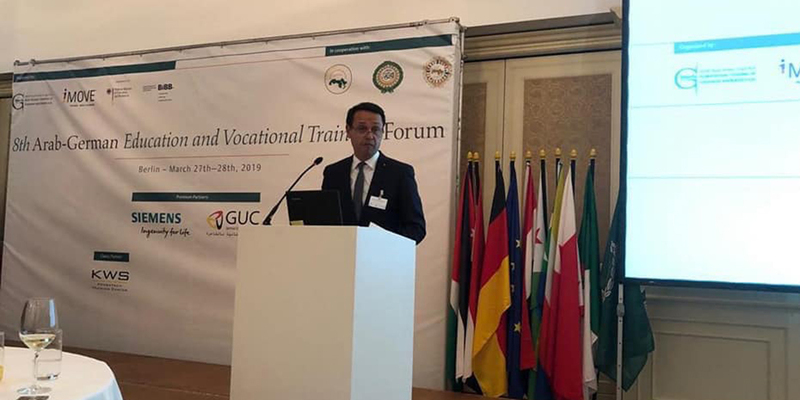 Unemployment has several reasons, the most important of which is lack of suitable competencies for the job market whether in terms of market need or in terms of skill and in my estimate an economic vision is needed in the region to create 100 million jobs over the next ten years. Economic development and creating jobs relies basically on scientific research, higher education, technical education, and vocational training. The vision should not be based on donating and recipient countries, rich and poor countries, developed and less developed countries, whether on an economic or on an industrial level. That was my opinion back then and today. In such similar continuing context, an ever more rising role is now foreseen from educational institutions for human capital development as a main pillar and driver of stability, development and ultimately economic growth.